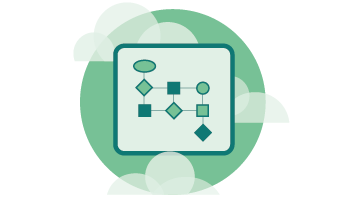 Test automation or manual testing – we have exactly the right package for all your individual testing needs. No worries – more configurations are available within our testing platform NEST. Simply click “Buy now”, create a login and choose from different packages – scaling up to 16 concurrent slots. 1. What is a concurrent slot? In Manual Testing, concurrent slots indicate the number of users who can use the Manual Testing product at the same time. For example, if you purchase a package with 4 concurrent slots, 4 members of your team can use the product simultaneously. In Test automation, concurrent slots indicate the number of automated tests that can be run simultaneously. Each parallel test is run on one browser-OS combination or real device at a time. The more parallel tests, the faster you can complete a full test suite. That means, for example, that 100 hours of testing can be done in 10 hours using 10 concurrent slots. 2. Which devices, OS and platforms are supported? The Testbirds Device Cloud offers you a multitude of possibilities. You can access over 2.5 million combinations of devices, operating systems, and software. An overview of all supported browser versions, operating systems (OS) and platforms can be found here. 3. What additional benefits are a part of the enterprise package? The enterprise package contains a private cloud in which, in comparison to the public cloud, the used hardware is assigned to a specific client and not shared among clients. Furthermore, the enterprise package offers a snapshot functionality, further customisation (e. g. scripting etc. ), reservation of real devices, full control of real devices, premium security and automatically pre-installed software packages using silent installer (msi, dmg, pkg, exe, .apk, .ipa). 4. How does the subscription plan work? Hours expire at the end of the month and it is not possible to roll over to the next month. You can also upgrade your plan at any time and it will start immediately. Charges will also apply immediately. If you downgrade, your new plan starts from the next billing cycle. If you want to change your plan, please contact us online or call +44 203 129 5012. We will review your current usage plan and recommend the best subscription package for your testing requirements. 5. Are all plans auto-renewed? What if I decide I want to cancel? 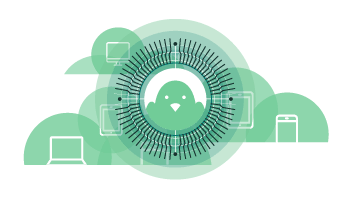 Yes, all Testbirds plans are auto-renewed no matter the subscription plan – monthly or annual – you have. You can cancel your subscription with at least one months notice. We generally accept payments by credit card (Visa, Master Card, Maestro), debit card, direct invoicing and PayPal. When you’ve subscribed to a monthly plan, payment will be taken monthly or rather needs to be paid monthly. When you’ve subscribed to an annual plan, the full amount for 12 months will be charged once at the beginning of the billing cycle or rather needs to be paid once at the beginning.